When you look good, you feel confident. Get your dose of both with a trip to Crops Unisex Salon. 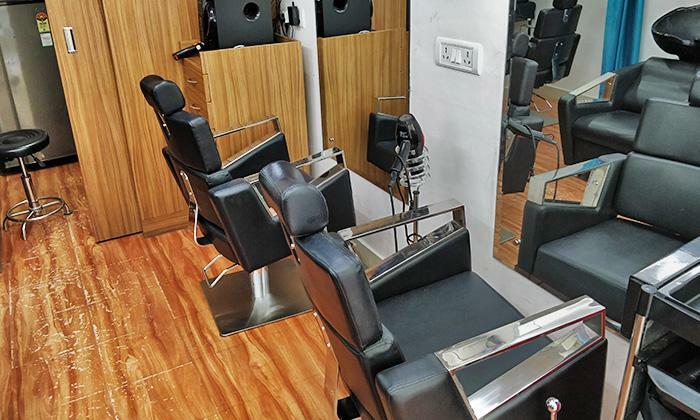 Located on Sector-47, Gurgaon, the salon offers a range of hair and beauty services designed to help you look your stylish best. The salon features trendy interiors and houses top-notch products and equipment, which are used to deliver quality service. The staff is well versed with the latest trends and offers services based on your specific needs making Crops Unisex Salon just the spot for your next makeover.